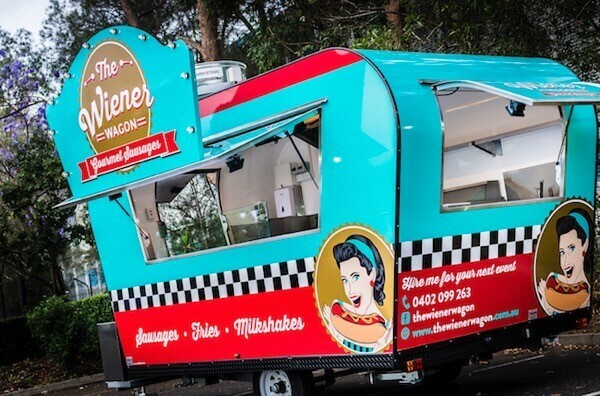 Marian came to us looking for a food van with a point of difference from which to sell her gourmet sausages, fries & milkshakes. 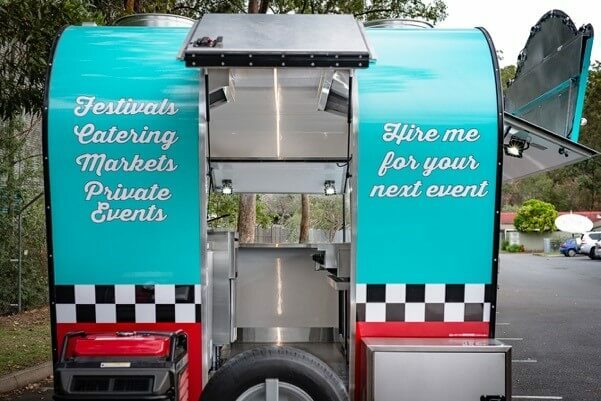 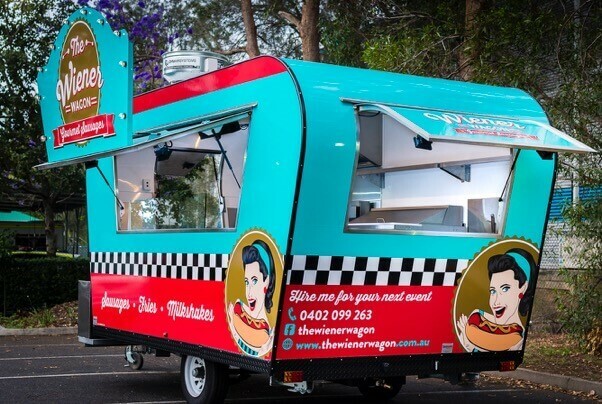 The Van Demons crew began thinking outside of the box, so to speak, and have created an awesome, innovative, retro style curved edge van that is bound to attract customers near and far. 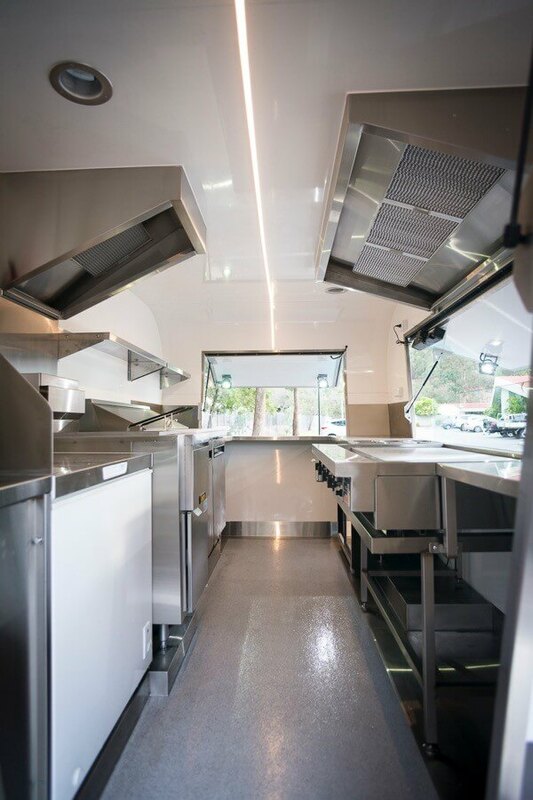 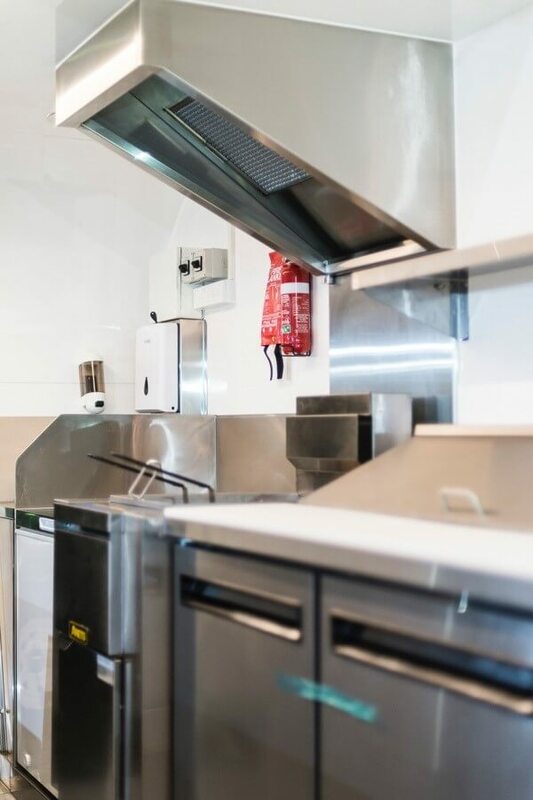 This little van packs a mean punch, with a full teppanyaki Goldstein griddle, Anets deep fryer, plenty of refrigeration, not one but two custom built rangehoods, and a pop up sign that’s framed with retro style lighting, that folds back down into the window awning when closed. 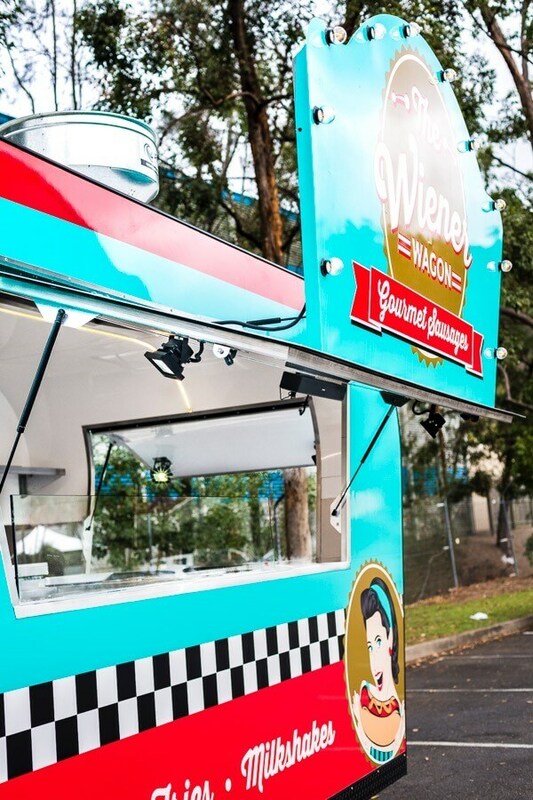 With her built in Bose sound system playing tunes from the 60’s, combined with her gourmet wiener creations, Marian is certainly creating an awesome food truck experience for her customers. 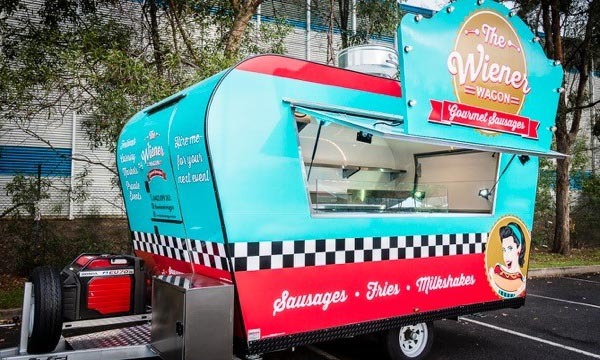 Oh and we think we may be onto something with this new van design – we’ve had numerous customers that came to see us while The Wiener Wagon was being built show interest, with several orders coming through for this style of van. 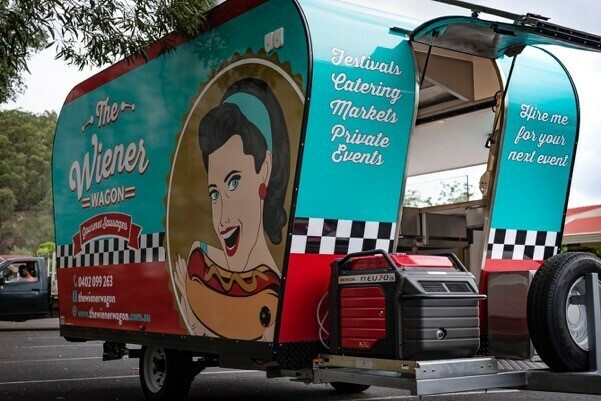 Contact us today if you’d like one for yourself!